It is carved with a carp leaping up a waterfall towards a scaly dragon and to the reverse with a moon and a tortoise amongst frothing water. 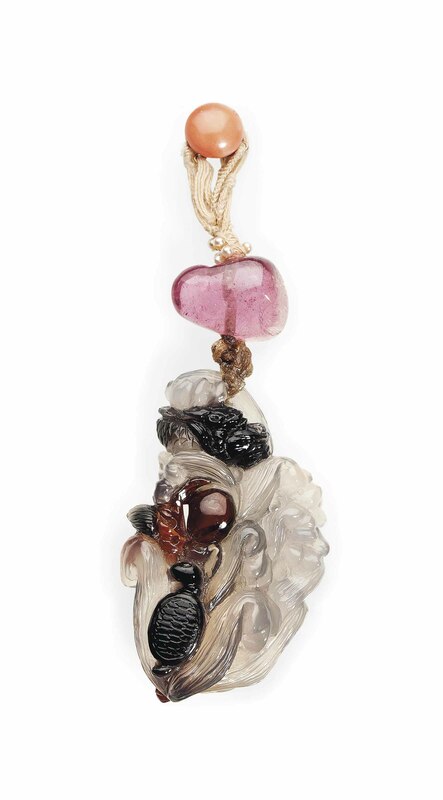 It is strung with a tourmaline of irregular form and further stones. Purchased in Versailles, France, May 1981.